President of the Bahamian Contractors Association (BCA), Godfrey Forbes, says The Bahamas is ahead of Caribbean counterparts in regulation, as the association deliberates on the latest draft of the Contractors Bill. 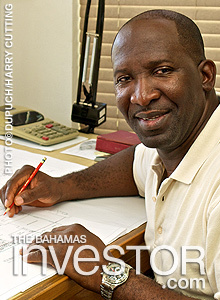 Efforts to improve standards in the Bahamian construction industry have set the country apart from its Caribbean counterparts and established The Bahamas as a leader in the field, according to president of the Bahamian Contractors Association (BCA), Godfrey Forbes (pictured). As the BCA deliberates on the latest draft of the Contractors Bill, Forbes says the new regulation will boost standards, streamline the industry and ensure inadequate contractors are penalized appropriately. The BCA joined the Coalition of Caribbean Contractors Association in 2011 and is working with other nations in the region to help improve their standards. Forbes has provided a draft copy of the current Contractors Bill to Jamaica, so it can use it as a blueprint for regulating its own domestic industry. The bill will introduce mandatory licensing for all contractors, categorize the different trades and create a board to oversee its implementation. This board will consist of representatives from government, the construction industry and the public. Forbes says it will make foreign investors more confident about projects undertaken in The Bahamas and ultimately benefit the wider economy. The draft bill is currently being debated by the industry before being submitted to Parliament. RBC Wealth Management, located at Lyford Cay in The Bahamas, has been recognized as the best provider of private banking services in the Caribbean region by Euromoney, a global banking publication.